Visiting a new destination is always a challenge. A gift and a curse. Why? Packed with enthusiasm, you'll want to see as much as possible, though time might not be by your side. To make sure you squeeze every minute of precious experiences and stunning sights, you must plan a journey route. Full disclosure, no trip is complete without this anticipation phase. We want to help you save time before, during and even after your journey. That's why we streamline app management and bring in the useful tips that will make a big difference in your vacation. Whether you're travelling for business or pleasure, you'll have the tools to make the time for some of the greatest moments of your life! With the right tools, routing your journey can be fun, exciting and fast! So if you're ready to prolong your vacation with a bit of daydreaming (efficient daydreaming, that is) before the trip even begins, here's how to create a route like a pro with a little help from Setapp! What can be more enjoyable than reading about your next destination and imagining how it will actually be once you get there? Start by going through the generic info regarding the country you plan to visit. Having an overview on its history, politics, religion and culture will prepare you to interact with the locals and make you feel like an insider. You can reach to sites like Wikipedia for this type of info, making it a comprehensive, yet easy read. To really get the flavor of a place, try finding articles in reputable publications and don't be shy to also read some fiction on the side. This will put you in the mood for travel even more. Now that you have the bigger picture, it's time to dig into the details. What is the place you're visiting most renowned for? Should you go for a cultural inclined experience, more of an active and entertainment based trip or a mix of the two? Each destination has something unique to enchant you with. Make sure you find that something you won't be able to find anywhere else. LonelyPlanet can always help. Also, there are a dozen of travel blogs from which you can leverage tips and tricks. So at this point, just read, read, read, and stay hungry for knowledge, my friend! It will pay off. 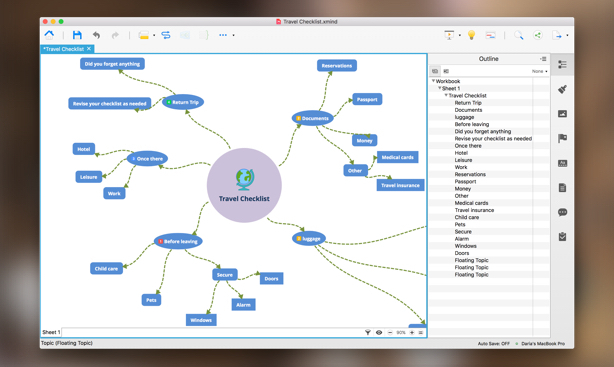 To make sense of all the info you gather, use this awesome app curated by Setapp: XMind. It will help you clear your mind by mapping your thoughts with ease into visual charts. With its fresh look and high usability, xMind is perfect for sorting up a messy mind or a heart that doesn't know which destination to choose. As you map the found info and add your personal thoughts to the charts, you'll see how the destination you should visit becomes clearer and clearer. While mainstream websites and fellow travelers might give you some precious insights, nothing compares with the recommendations that come from locals. They can tell you all about the lesser-known places that you should definitely pay a visit to and those secret locations that are as authentic as it gets. Here is where you'll collect the best stories for your blog or for your friends or colleagues. Dare to step away from the touristic route with a few ideas, tips and tricks from residents. CouchSurfing.com and Spottedbylocals.com are good places to start asking questions. These are populated by a community of travel lovers that will certainly be more than happy to share a few insights with you. From places to eat, where to stay, local markets, entertainment options and walking tours, you'll definitely be in for a treat. Usually, touristic places tend to become more or less the same, losing their uniqueness and becoming more and more westernized. So, if you're searching for the real essence of a place, you need to eat, drink, think and act like a local. Or the next best thing: a tourist with recommendations from a local. Once you have a clear idea about what your destination is about and have your recommendations noted down, it's time to find out what's worth making it to YOUR list. While all the places might be beautiful, if you only have a few days at your disposal, you need to be realistic about it. Think about what you're expectations for the vacations are: do you want to relax, do you wish to be as active as possible, do you plan to also do some shopping? ‍How much time do you have? What is most important for you to experience? ‍What things you don't want to miss, at any cost? Cross down the places you're not enthusiastic about and voila, you'll have your final list saved safely! With the shortlisted "must-go-to-places" in front of you, it's time for another reality check. And by that we mean a weather check. Because if it's going to be pouring all the time, that hiking trip might not be such a great idea and you might enjoy yourself more with some indoor activities. Setapp is ready to fix you up with its curated Forecast Bar app, which combines a beautiful user-interface with hyper-accurate forecasts. Make sure to check Forecast Bar before you leave. With its forecast reaching up to 70 years in the future, you can really plan ahead. And if you want to make some assumptions yourself, the app also takes you 70 years back in the past. Once you get to the destination, stay up to date with the minute-by-minute predictions and be one step ahead of the weather. 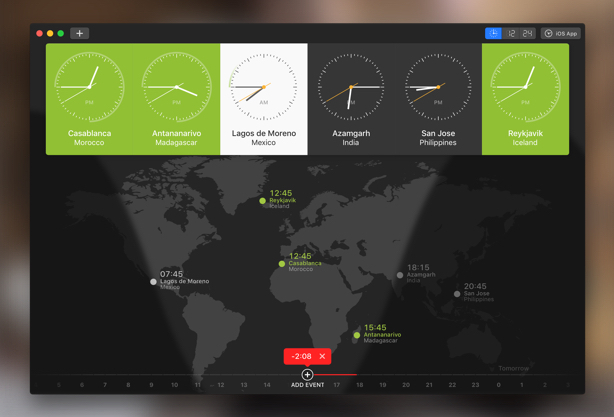 To have a complete overview of your trip and feel in total control, Setapp includes in its offer another app that will make planning your journey route even easier: WorldClock Pro. This simple app will enable you to plan according to timezones and align any activities you might have in mind to make the most of your time. Add as many destinations as you like and customize them to your liking for a visual appearance that will have you not only informed but also pleased. All set? Do you have your final list of places to go to and schedule according to the timezones? Great! You've completed your research, finished your list and made up your mind. Now it's time to arrange all the places you want to visit in an itinerary route that will help you make the most out of the days spent there. With the map in front of you, see which pairings make the most sense. Cluster attractions that are close to one and other in the same day, keeping the same daily average. Make sure to leave room for the important meals of the day in the selected restaurants you shortlisted from your research and recommendations. There are a number of online maps that have more than enough tools to help you create visual aids. Search among the top 3 maps to see which one fits your style better. Certainly you'll encounter photo opportunities at every step along your route. Express your creativity and capture your memories in beautiful colors, without any limitation. First, make sure you have enough room on your drive to accommodate all the photos? Running low on space? Then Gemini could definitely come in handy. Here's where Setapp comes to the rescue with a curated app that's perfect for preparing your computer for a journey and not only: AnyTrans. This app might just be the answer to your file management prayers. From transferring files and folders to backup solutions, AnyTrans lets you swipe through the maze of content management like a pro. Transfer your photos from iPhone to Mac, clone data, move large files to drive – there’s nothing this app couldn’t do. 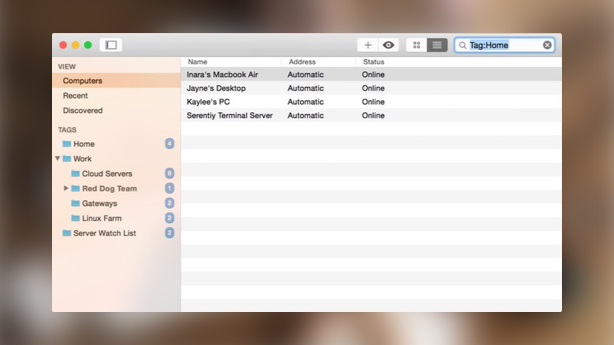 Another great way of clearing up room on your Mac is Gemini. As one of the many apps offered by Setapp, Gemini is not only extremely useful, but very easy to access. With just a few clicks, it will find any duplicates on your computer and delete them to make more space. Once you've made the necessary room, let your creativity go wild with CameraBag Pro. Also curated by Setapp, CameraBag Pro enables you to turn the beautiful sights you photograph into even more stunning photographs. Whether you take photos for pleasure, or you are a professional, CameraBag Pro has a wide range of adjustment options that are intuitive and easy to use. Now that you know exactly where you're going, it's time to become a master packer! We advise you not to go overboard packing everything "just in case". The itinerary is your guide towards selecting just the right clothes and items you need. Truly need. According to the activities you plan to do, see if you need special clothes or other equipment. Of course, since many activities will go through specialized centers, you can rent most of these items at your destination. At this point, TaskPaper can be helpful. With its easy-to-create lists, you won't forget anything important, not even the items you usually have to pack last, such as your toothbrush (How many times has that happened to you? Be honest!). To use the room in your luggage to the maximum, hit YouTube and look for packing tutorials. You'll find a lot of gimmicks that will make you go "hah!". A nice trick is to use reusable compression bags to create more space. What's more, use the inside of the shoes you pack as containers for smaller items such as jewelry. Also, to save up space, you can buy travel-size containers for your toiletries. You'll need these especially if you are flying to your destination and plan to travel only with a cabin bag. Don't forget to pack up snacks and entertainment for longer commutes! As a wrap up, our take is to always bring as little as possible, as long as it is just with a few percent more than you need. Even packing needs a safety net. Draft your work schedule. Work? Yes. Best case scenario, your vacation will be just that: a relaxing vacation. However, if you find yourself in the need to also work while you're away, the best way to approach this "dream-shattering" reality is to create a schedule and stick to it. Now, there's one single thing left to do: make sure you can connect with the files and necessary documents back home. Setapp helps you manage a great app for this specific purpose: Jump Desktop. What does it do? Exactly what the name promises: it enables you to "jump" at your home desktop and access all the files and necessary data from your house or office computer or any computer, anywhere in the world. And it's not all it does. For you to be ultra-productive and get back to enjoying your vacation in no time, the app supports multi-tasking and has a series of stellar functionalities to help you move at ease through your tasks. 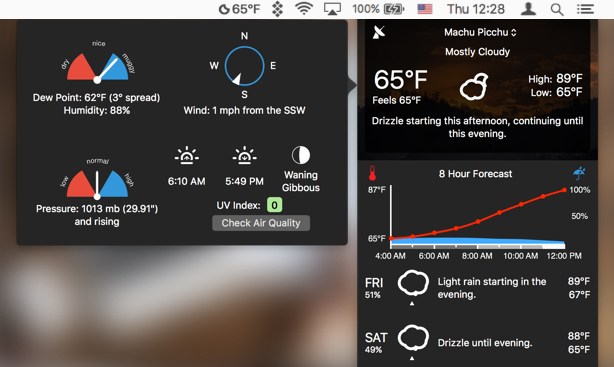 Jump is tightly integrated into macOS and the Spotlight Integration lets you launch connections from anywhere with advanced energy saving support. Another trip companion Setapp doesn't let you go on vacation without (or spend any day without actually) is Shimo. Shimo is an app that enables you to remotely work through the VPN on your vacation, by following the highest security standards. Choose among a variety of VPN Protocols (OpenVPN, IPSec, PPTP, SSL, AnyConnect, SSH) and enjoy automated connections to get the work done in no time! While you will definitely want to be present in the moment and live each experience from your trip at the most, we guarantee you'll also want to share them with family and friends. But since you'll have something to do at every step, GoodTask might be your solution to communicate. 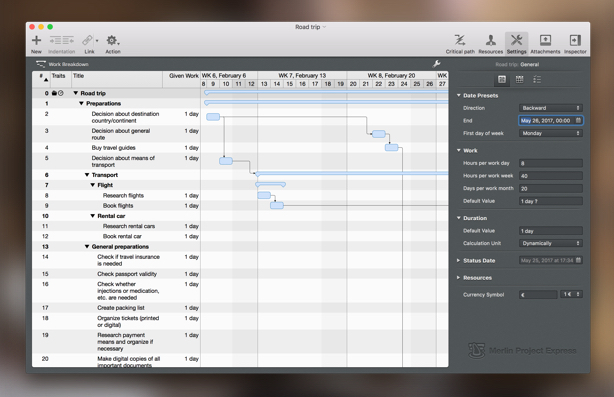 Sure, Setapp offers it among its apps as a task manager solution for boosting productivity. We bet you never thought that communicating with your loved ones could be a task, but when time is of the essence, you might need a reminder. Just add this as a checklist on the app and double back it with reminders on your Calendar. 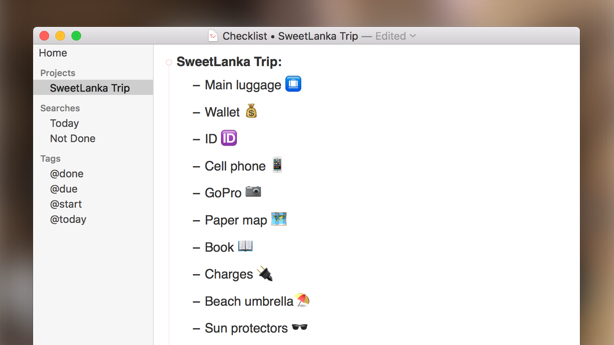 You'll see that having everything organized will make you enjoy your trip even more! Set up call times for each friend or family member or add reminders to write them messages. Make sure to include a photo or two. Okay, how many photos you want! They'll love them! Now that you've carefully crafted your itinerary and have your map with the route, it's time to hit the road! Yes, all that fun work was definitely worth it. And thanks to Setapp, it was easy to plan, make lists and add reminders, all from one single spot. Costing as little as a dinner out on your trip, it will help you get a long way, in the shortest possible time. With Setapp you can also learn how to plan a trip from start to end, by using apps that go farther than the route creation and include picking your destination, finding the best accommodation and even the tools to write up on your blog. We're eager to hear exciting stories from your trip. How was your route? Were our tips helpful? Do you have improvement ideas? Will you send us pictures? We hope so. But first, enjoy!